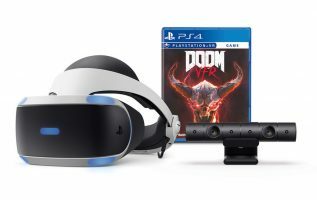 Let’s say you want to buy a modern video game console, and you have $300 to play with: What should you buy?For $300, you can buy a PlayStation 4 or a Nintendo Switch – both cost exactly $300, and offer unique gaming experiences. 1. The PlayStation 4 has a larger library of games. There are about 1,800 PlayStation 4 games you can buy, compared to around 1,200 Nintendo Switch games. 2. You can buy a PlayStation 4 — the PS4 Pro — that supports visuals for your 4K HDR TV. The Nintendo Switch only supports visuals up to 1080p HD. 3. Both consoles have incredible exclusive games, but the PlayStation 4 has more of them. But the PlayStation 4 benefits by having been around longer, and has built up a larger library of incredible exclusive titles, including “God of War,” “Bloodborne,” “Horizon Zero Dawn,” “Uncharted 4,” “Shadow of the Colossus,” “The Last of Us,” and the “MLB: The Show” series, among others. 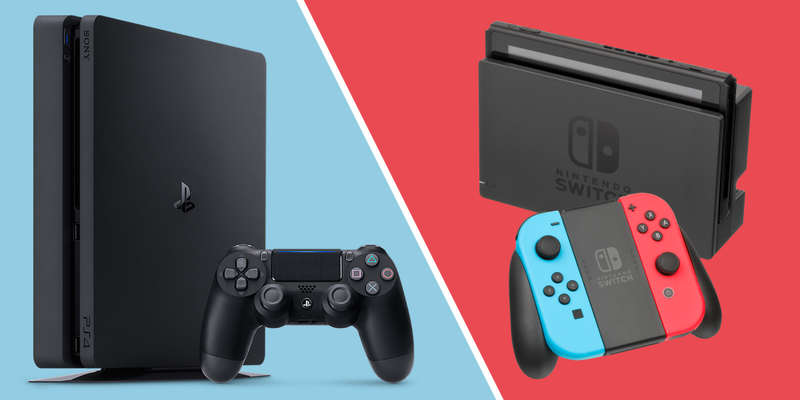 As it stands right now, the PlayStation 4 has roughly double the number of exclusive games compared to the Nintendo Switch. 4. Games are generally more affordable on the PlayStation 4, and you’ll find sales — through Sony and other vendors — more often. 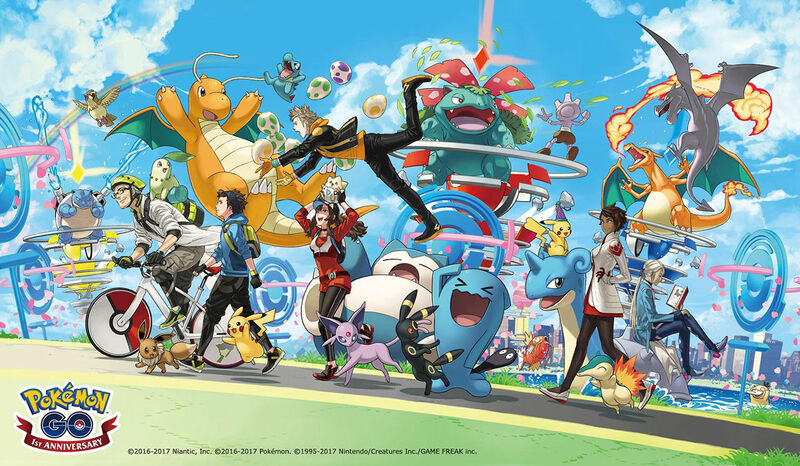 Nintendo does sell many games that cost $10, $15, and $20, but so does Sony — and aside from all the deals and discounts you’ll find, particularly if you’re a PlayStation Plus member (you get free games every month with that subscription), the new PlayStation 4 Hits collection includes must-have games like “Bloodborne” and “Uncharted 4” for just $20. 5. The PlayStation 4 has every major streaming service, including Netflix, Hulu, HBO, Spotify, Twitch, Amazon Video, and more. It even has PlayStation Vue, its own over-the-top subscription TV service. In contrast, the Nintendo Switch only has Hulu among its supported streaming offerings right now. 6. The PlayStation 4 has a built-in way to listen to music while you play games. The Nintendo Switch doesn’t. The excellent PlayStation Music service requires a Spotify account — you can hook up your Premium account, or create a free account just for this — but once you’re all set up, you’re able to listen to your favorite music while playing games. It’s easy to play, pause, and skip around to various playlists and artists thanks to the built-in music widget for PS4, which you can summon by holding the central power button on your controller. If you have other music outside of Spotify, the PlayStation 4 also lets you connect any hard drive with media files via the USB port. Just go to the Media Center app and press play. The PlayStation 4 itself is very friendly with music in general; you can hook up wireless headphones via USB, or plug a pair of wired headphones directly into the bottom of the controller to listen. The Nintendo Switch has a headphone jack for when you’re on the go, but no way to privately listen via headphones if you’re playing on the TV — at least for now. 7. The PlayStation 4 can play DVDs and Blu-ray discs. The Nintendo Switch cannot. If you have a big collection of DVDs and Blu-ray discs, the PlayStation 4 can play all of those for you. The Nintendo Switch only takes its own proprietary cartridges, so you can’t play any other kinds of media from it.